The chill of February is ill-fated to be accompanied by a day dedicated to those lucky few among us who succeeded in surviving the stress of the festive season. It is for this group of people that we present a collection of utterly inessential products and experiences with which to say 'I love you'. For the rest of you, we recommend gin. If there’s a tiny note of pain in that intro, I can only apologise. Yet have mercy, for there comes a time in each journalist’s career when their stories start to either reflect or directly contrast real events in their lives. Remember those days at school when the book you’re reading suddenly becomes extremely relatable? I for one fondly recall being asked to translate a passage from Seneca’s De Otio which lampooned alcohol consumption while I was a little worse for wear. But one must press on regardless, and strive for impartiality. For reason. For a certain professional distance from the task at hand. And above all, one must not allow the fact that they’ve renamed their Valentine’s email folder to ‘Doom Day’ to affect their sanguine writing ability. So, deep breath… – and happy Valentines Day! Let’s find out what the unbroken few among us will be buying for the ones they love. I wont cry if you don’t. Having recently discovered the incredible mess a glass makes when it hits the wall (it slipped, I promise), I strongly advise keeping these beauties out of the reach of small children and scorned lovers. A truly stunning decanter, the Black Tie Bliss Red is one of those rare Valentine’s products that will remain stylish year-round. If you’re celebrating an anniversary or a particularly special year, this may be just the thing to mark commemorate it. If you and your beloved are not red wine drinkers, the Fatto A Mano champagne glass also cuts quite a shape on a shelf. The Riedel Decanter – Black Tie Bliss Red for £225 and the Riedel Pink Fatto A Mano Champagne Wine Glass for £80 each, www.riedel.com. 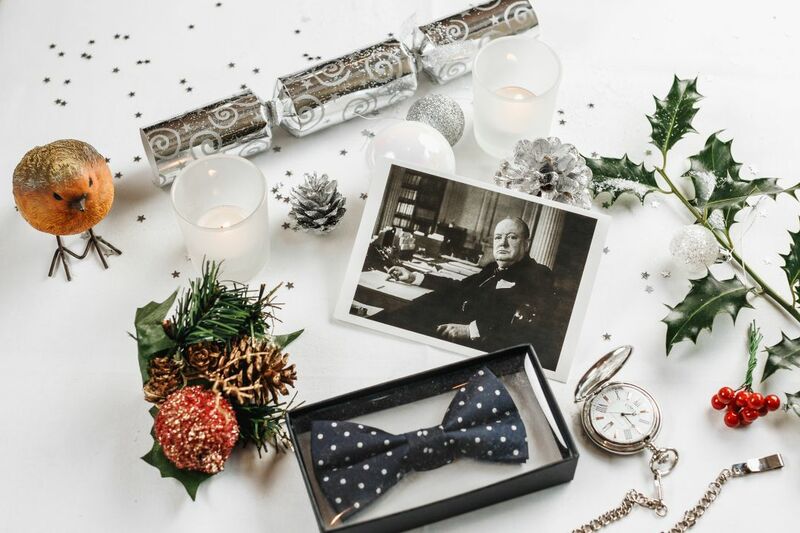 A welcome bottle of Pol Roger, dinner at the Montagu Kitchen with a signature cocktail at the Churchill Bar & Terrace, a traditional hot towel wet shave at Truefitt & Hill to keep him looking smart and a night in the Hyatt with breakfast to top it all off. Is this a treat for me or for him, you ask? It’s 2019, we can say it, it’s a treat for both of you for surviving ‘Divorce Day’, and it sounds utterly delightful. The Churchill Experience, available until 31st of May 2019, priced from £599 for two people. www.hyatt.com. It’s not always the big gestures, the meals out and the flowers that make the difference. Sometimes it’s a bottle of champagne, an old blanket spread out on the floor, a few candles scattered around the room and a bag of Baileys Chocolate Mini Delights to keep you up long enough to truly enjoy the most romantic night of the year. Alternatively, sometimes it’s a bottle of tequila, a dubiously-lit barbeque and several bags of Baileys Chocolate Mini Delights to take the edge off the pain, but the basic principles remain the same: alcohol, fire and Baileys Chocolate Mini Delights. I like the salted caramel ones. Baileys Chocolate Mini Delights, Salted Caramel, for £2 from selected grocery stores. www.groceries.morrisons.com. A fun Valentine’s date at home in the making, this gin tasting set allows you to get delightfully tipsy in the name of research. With ready-made cards on which to write your tasting notes (providing you have something more intelligent to say than ‘yes, I can confirm that is gin’), you can have a romantic night in, discussing hints of juniper and the hitherto-unexpected presence of coriander. I happen to know that these bottles are also the perfect size to slip into a handbag for the days leading up to V day, when one is repeatedly forced to encounter entire supermarket aisles dressed in pink and red. The Sharish Blue Magic Gin tastes as good as it looks. Drinks by the Dram Valentines Gin Set for £19.95, www.masterofmalt.com. Putting the ‘man’ into ‘manicure’. I do not apologise. Has your beau ever turned to you and said, ‘Boy, I really wish there was somewhere in central London, decorated like a speakeasy, where I could go to get a manicure and a pedicure’? He hasn’t? Well, that’s probably because no-one starts sentences with ‘boy’ or ‘gee’ this side of the Atlantic – or indeed this side of the century. But if perchance he has, or at some point will, you have your answer and the perfect Valentine’s treat for his feet. Few things are more exciting than receiving a love note, especially on this happiest of occasions. One of those things is chocolate. Luckily, a brave company saw the good sense to combine the two and produce edible love letters (complete with edible ink to write your own personalised messages) to send to your nearest and dearest. The best thing? If you happen to err in your choice of romantic companion, you can simply eat the evidence and pretend it never happened. Is it weird to take a friend to a Valentine’s event that serves aphrodisiacs? Asking for a friend. If you want a fun night out that still says ‘I love you’, the Boundary Project in Shoreditch has you covered. Move up through the tiers of the venue as one would move through the stages of a healthy, happy relationship, beginning with cocktails and canapés in The Vault, a wonderful subterranean bar, followed by a candlelit four-course dinner on an enchanting (read: heated) rooftop terrace. Your evening can either end with late night drinks in the Vault, a hot cocktail by an open fire pit on the terrace or with the most romantic phrase in the world: “let’s just be friends”. Canapes, cocktails and a four course meal at The Boundary Project, for £95 per person, www.boundary.london. If you purchased this entire list you would have spent £1,265.95 and either you’re the best partner in the world or making up for something really, really bad. Whichever it is, I wish you luck. If you need me, I’ll be at the bar.